The Greenville Municipal Concert Band will once again take the stage this Sunday, July 8 at the Marling Band Shell in the beautiful Greenville City Park. The concert will begin at 7pm and is free and open to the public. 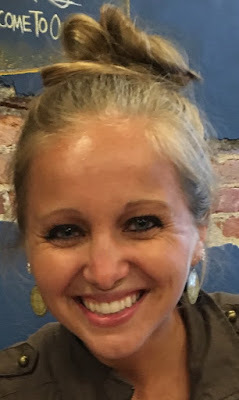 This week the band would like to feature the sounds of Taiko Drums under the direction of Mrs. Audrey Hathaway from Mississinawa Valley High School. 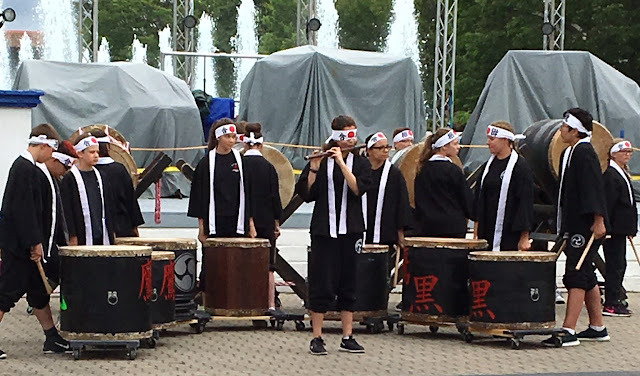 The Kuroi Taka Taiko drummers are a Japanese drumming ensemble that combine choreography and drumming along with cultural costuming (masks, kimonos, and props) to delight audiences of all ages. The handmade drums used are of three sizes: the very large Okedo daido drums, the medium-sized nagada drums and the smaller shime daiko drums. Gongs, shakeres, cymbals and other small trap instruments are also used in their performances. The Kuroi Taka Taiko drumming group has achieved great success throughout Ohio and Indiana, performing at the Ohio State House, Langfest at OSU, the 2nd Summit of Educators, the Ohio School Board Association Convention, International Baccalaureate schools in Indianapolis and many local and school events. This unique drumming program was introduced at Mississinawa Valley eleven years ago and currently has 63 students in three performance groups, ranging from 5th and 6th grade, junior high and high school. It is one of only two such groups in the state of Ohio. The members of the group performing Sunday are Angel Avilez, Mallory Flesher, Naomi Hathaway, Adam Manning, Maria Ojeda, Josiah Philiposian, Gabby Rammel and Kailey Yohey. The band is also proud to feature the beautiful voice of Mrs. Chelsea Whirledge. Chelsea will be singing Over the Rainbow and the wonderful jazz standard More Than You Know. The Greenville Municipal Concert Band will explore marches of Henry Fillmore, selections of pop and show music and perform the exciting Claude Smith opus Emperata Overture. Please plan to attend the concert this Sunday, July 8th at 7pm at the brand new Marling Band Shell in our beautiful city park. Park bench seating is available and you can bring your own chair or blanket to sit on and enjoy the show. The concert series is a great way to spend an evening listening to music, reading a book or just creating quality family time without computers or television. Bring a friend and enjoy the park.